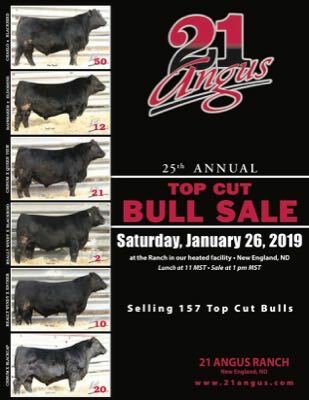 Thank you to all of our dear customers and friends for your support at our January 26, 2019 bull sale! See you next year, January 25th, 2020! Top Cut, Home Raised Bulls.